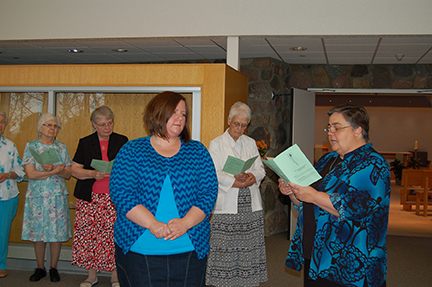 On Sat., Sept. 7, 2013, the Benedictine Sisters of Annunciation Monastery received Idelle Badt as a postulant. As a postulant, Idelle will live at the monastery, learn more about Benedictine, monastic life with the sisters, and participate in a ministry. Please join us in prayers for Idelle as she journeys toward God with our monastic community.